Anthony Banome is the FBO Director of Sales for Fontainebleau Aviation. Banome joined the company in 2017 to help manage, grow, and overlap all aspects of Fontainebleau’s brand new facility and services. 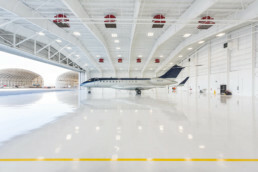 Building a strong network and providing first-class hangar, office, and fuel services are the primary focus. Anthony received his education from Saint John’s University Tobin College of Business in New York City. Before breaking into the corporate world, he taught Mathematics for the New York City Department of Education. 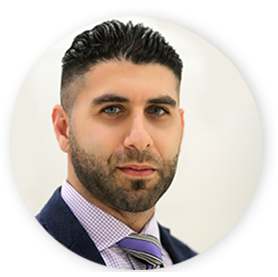 After teaching, he honed his FBO management and aviation skills during his ten years as Director of Sales at Meridian – located at Teterboro Airport. Anthony was presented the “40 under Forty” award by Airport Business in 2013 for being one of “the best and brightest” in the industry. He looks to bring the same passion and analytical approach to Fontainebleau Aviation. Banome is also a volunteer and active member in Humble Heroes. A group of committed volunteers joining forces with members of the FDNY to achieve one common goal; to lift the spirits of ill and grieving children. Disguised as the most infamous superheroes of our time, they visit local hospitals and grief centers to bring joy and inspire kids to keep fighting life’s injustices.